Five months ago, days before the first ball was even tossed this Asean Basketball League (ABL) season, Eduard Torres had already set his mind on proving doubters wrong. The 52-year-old coach of debutants Hong Kong Eastern Long Lions remembered the Nov 14 ABL launch in Manila, where "nobody mentioned us as favourites", and it clearly rankled. The regional basketball fraternity will know the effervescent Eastern now, after they finished first in the regular season with an outstanding 16-4 record, before swatting away Saigon Heat 2-0 to qualify for the best-of-five Finals with the Singapore Slingers. 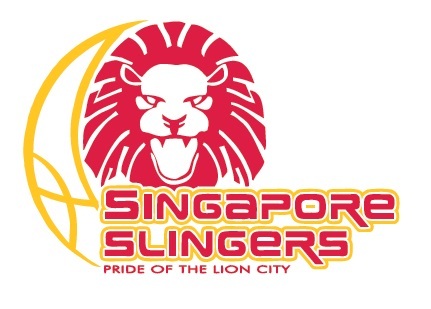 Eastern will host the Slingers at the Southorn Stadium in Wan Chai for Games 1 and 2 on Saturday and Tuesday, before the next two games at the OCBC Arena. The Hong Kong side will enjoy home-court advantage for Game 5, if it is needed, as they were first in the regular season. While Torres feels proud of how far his team have come, he is under no illusions that it will be a clear path to glory. After all, their four encounters with the Slingers are evenly split 2-2, with one home and one away victory each. "I totally agree that the two best teams are in the Finals and we deserve it because our results and the standings prove it," said the Spaniard, who began his coaching career at just 20 with Joventut Badalona in football-mad Catalonia. "Obviously, we trust in ourselves, but we know that we don't have any advantage. We fully respect such a great team like the Slingers, well coached, with the whole roster involved and playing their roles perfectly. "Every detail will count and it is going to be a big battle, or probably five big battles with 50 per cent chance for each team." He will hope that guard Marcus Elliott and former NBA centre Joshua Boone can continue their fine form against the Slingers' miserly defence that has restricted the Eastern's scoring (73, 72, 71) to below their 91.4 average in their last three meetings. Elliott, a 32-year-old American, has an average of 24.5 points per game this season (and also against the Slingers), more than any other player in the Finals. Compatriot Boone, a 32-year-old who used to play for New Jersey Nets, has also been a timely reinforcement after replacing Patrick Sullivan. Boone averaged 21.8 points and 13 rebounds in nine matches, although none of them were against the Slingers. Torres said: "What makes Marcus really special is his defence, his leadership, his effort and his will to win. "Obviously, we need him, but he never had the pressure to save the world because his effort is natural. "Josh fit straight into the team and is humble enough to adjust to the situation. He never asked for the ball more than we used to with Patrick, and he understood he had to play defence and share the ball in offence like everyone else." But Torres has been in the sport long enough to know that while one player can decide a game, championships are won by teamwork. "We got so far because we play like a team and that's the way we are going to play the upcoming games," he said.